The key to prolonging your car's value and efficiency is none other than preventive maintenance. A well maintained car runs better, gives better fuel economy, and has fewer breakdowns. But first you need to get the timing of preventive maintenance right. 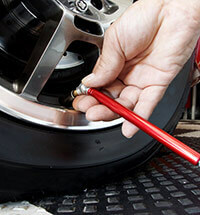 When it is the right time for you to get your car serviced? We recommend sticking to the factory service interval unless you are driving in extreme conditions. The basics of preventive maintenance include changing oil, checking tire pressure and getting inspections done as scheduled. Scheduled inspections are meant to detect a problem before it becomes serious. Diagnosing a problem early can save you thousands of dollars in expensive repairs. Your service manual suggests periodical checks to catch anything that looks malfunctioning. Simple checks include making sure all the lights are working, checking air pressure with an air pressure gauge, and listening for any strange sounds coming out of the car.